I’m writing this post from Raleigh, North Carolina near the end of a six-week world tour that would have been completely impossible without miles and points earned from credit cards. How can you earn rewards for the trip of your dreams? What are the best credit card offers for March 2014? Beyond the huge minimum spending requirement, the other big drawback is a $450 annual fee. 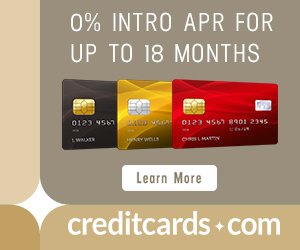 In the first year, this is partially offset by $200 in statement credits on your first $200 in purchases on the card. The Barclaycard Arrival PlusTM World Elite MasterCard® is another great card for families that travel in economy without much flexibility, since Arrival miles can be used to book any flight on any airline with no blackouts. Miles can also be redeemed for any hotel or other travel expense. I have used my Arrival miles on this trip to book a motel and domestic flights like a $150 trip from Raleigh to Tampa that would have been a poor value with traditional miles. The other big bonus is a 7% annual points dividend each January on all the points (other than the sign up bonus) earned in the previous calendar year. 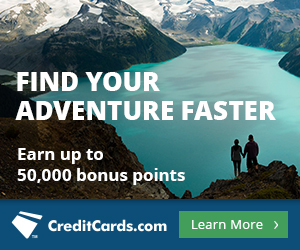 Tip: You can get the personal card described above and the business version at the same time for another 25k bonus Starpoints after spending $5k in the first six months. The Citi® Hilton HHonors™ Reserve Card is the best card for giving you free luxury hotel nights. The card comes with two free weekend nights at Hiltons worldwide after spending $2,500 in the first four months. The free nights are best spent at top-tier Hiltons and Conrads that can go for $500 or more per night. The Blue Cash Preferred® Card from American Express offers 100 Reward Dollars, redeemable for a $100 statement credit, after you make $1,000 in purchases with your new Card in the first three months. The card offers an unbeatable 6% cash back in the form of statement credits on your first $6,000 annually at grocery stores (then 1% back). And it offers 3% back at US gas stations and select US department stores. Plus, get one year of Amazon Prime after you sign up for a new membership with your Card and meet the spending requirement in the same time period. I wrote more about this benefit here. The card has a $75 annual fee. Is there an Ink link that helps you? And it looks bleak for biz/first? Any suggestions? What is the transfer rate to the airlines on the amex premier rewards gold? 1:1 to all the major airlines mentioned in this post. Sometimes there are transfer bonuses like 35% to Avios. When deciding what cards to get, I consider whether the points are lost or need additional action in order to retain if the card is cancelled at renewal time. Can you please reiterate which points/miles referenced here fall into that category or provide a link to the post that discusses? Thanks.